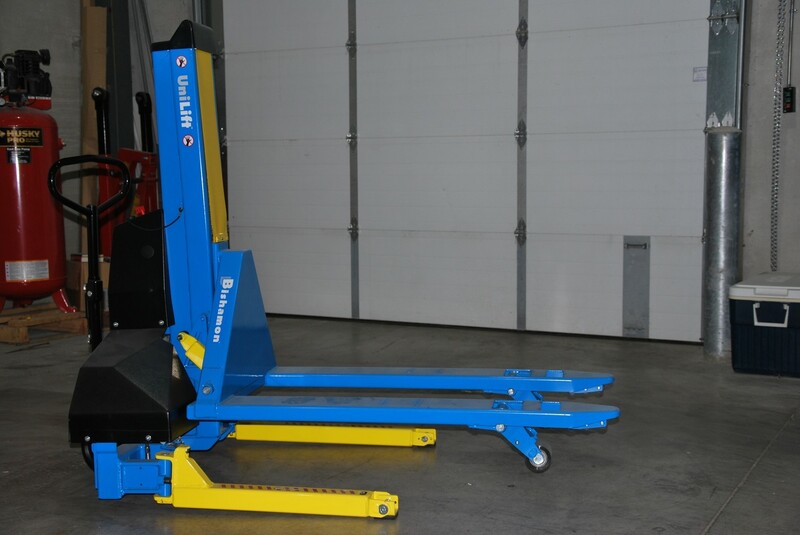 The only pallet transporter and positioner that can lift a standard pallet or skid without straddling it! Bishamon UniLifts give you the best of both worlds. They maneuver like a pallet jack and lift like a stacker. It is the only product available that can transport and lift a closed bottom pallet without straddling it.